The London Fire Brigade (LFB) is the largest fire and rescue service in the UK. 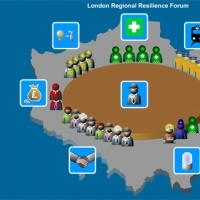 The London Fire and Emergency Planning Authority (LFEPA) runs the LFB. The 17 members of the Fire Authority are appointed by the Mayor of London. Eight are nominated from the London Assembly, seven are nominated from the London boroughs and two are Mayoral appointees.